If you ask me what fascinates me the most? My answer would be the beautiful birds and animals that one get to see in the wildlife sanctuaries and parks that are near our area. Unlike us and the other animals living on the land, a bird is made to fly which is pretty much every human wants to do. When we are discussing about the flora and fauna around us, then how can we miss giving a visit to the Nawabganj Bird Sanctuary and have a look at actual birds outside of our books and phone screens? 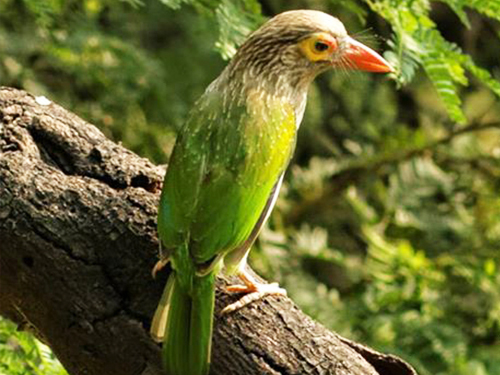 Yes, you read that right, there does exist a legit Bird Sanctuary in Uttar Pradesh. 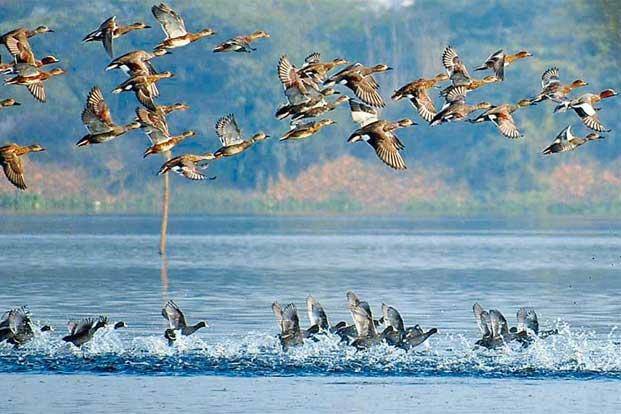 If you were thinking that Uttar Pradesh couldn’t surprise you any more than it already has, then you have got to visit the Nawabganj Bird Sanctuary. You will see nature at its best and birds all around you. Trust me when I say this, I had never felt so alive other than being amongst the birds and watching them fly away. 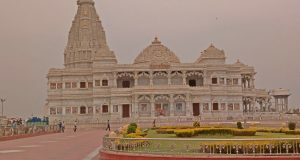 Just like every time, after visiting the sanctuary, I took an even larger piece of Uttar Pradesh with me, only filled with memories that connected deep within me. If my emotional ride through the bird sanctuary wasn’t enough to make you want to visit, then continue reading and you will be surprised to have discovered a sudden urge to want to visit the Nawabganj Bird Sanctuary. The Nawabganj Bird Sanctuary is spread over an area of 2.284 sq. kilometers of the landscape. The Uttar Pradesh government declared Nawabganj as a bird sanctuary in 1984. 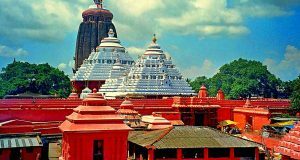 It is home to 1300 native Indian species of birds and 550 exotic species of birds which come over from distant continents. The migratory birds fly over from the top of the Himalayas in order to escape the unbearable cold climate of European countries and other Central Asian countries. This renowned bird sanctuary has several natural water reservoirs, marshes and shallow lakes that is the real abode for the migratory birds. 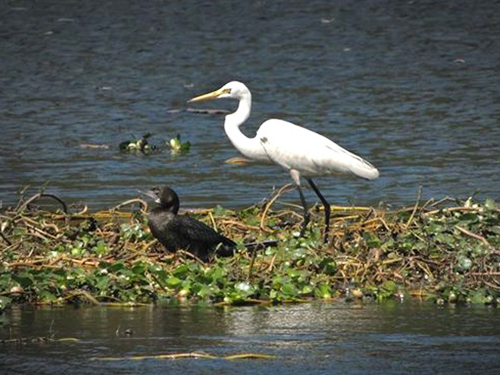 Nawabganj Bird Sanctuary is among the most visited destinations in Uttar Pradesh. You can easily find taxis and buses leading to the Bird Sanctuary. 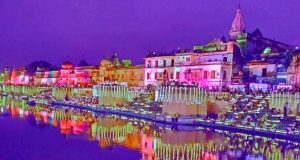 However, the most recommended route is to travel by train to Kanpur. 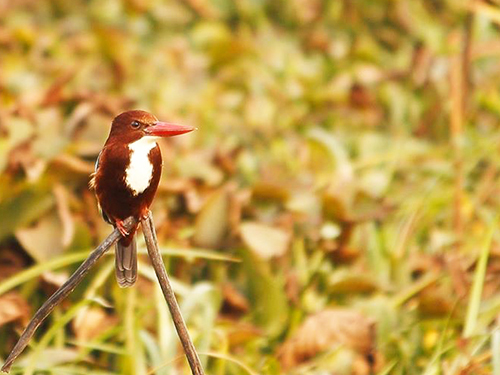 Leading from the Kanpur railway station, the Nawabganj Bird Sanctuary is only 45-kilometer drive away. I would recommend taking a public transport in order to witness the local culture and also, to have a better view of the landscape.